Hello everyone!! Happy March!! I can’t believe we are here already!! Our new challenge is all about Embossing!!!!! 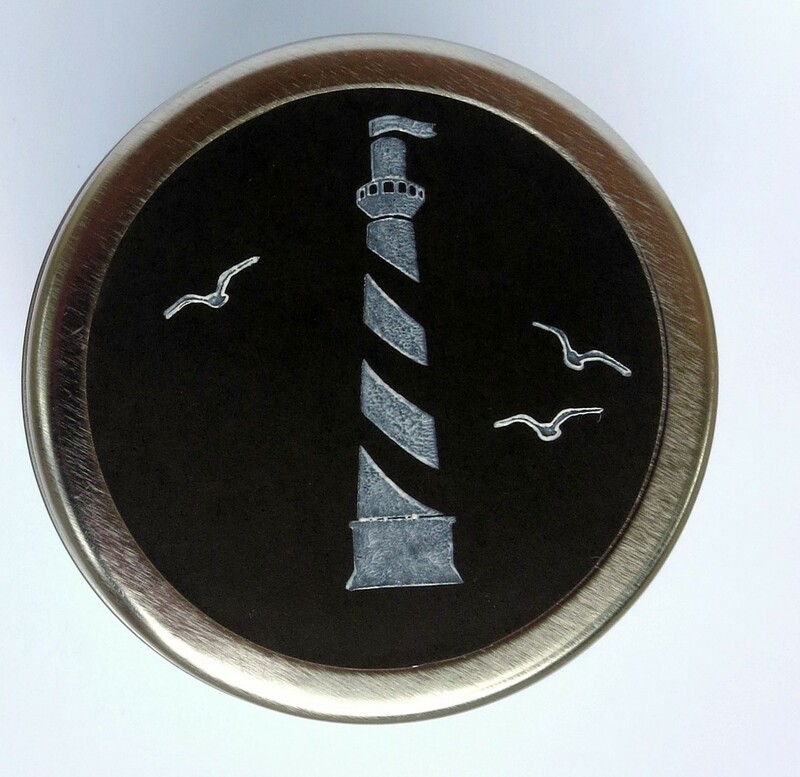 You can do dry embossing and/or wet embossing. Our challenge this month is Embossing!! Please be sure that your project contains at least ONE main HERO ART stamp, stencil or die cut as the focal element! This will be fun and interesting. Categories: Embossing | Tags: bunny, congrats, dreams, embossing, fish, flower, Hello | Permalink. Hi, friends, it’s Chark here today with some Under The Sea fun. 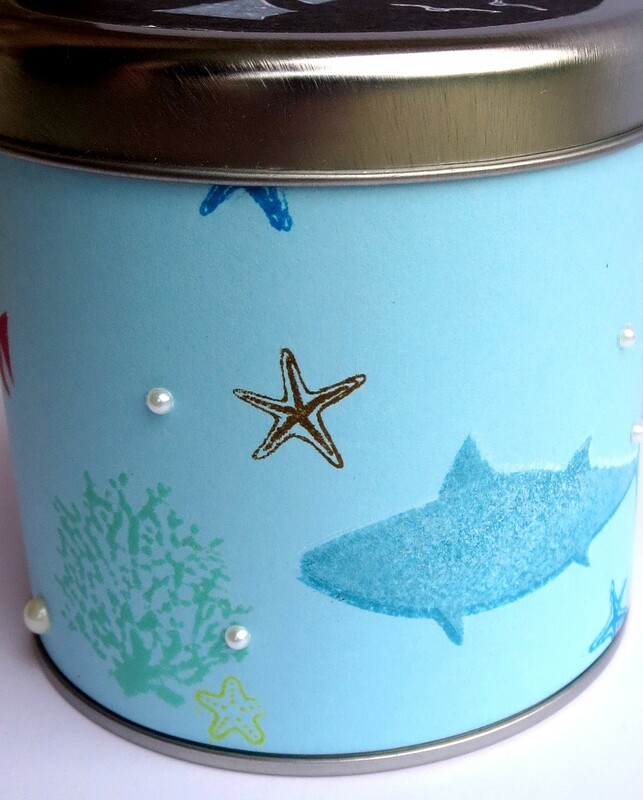 I used my new stamp set, Anchors Aweigh, to create a gift tin you can fill with shells, beach glass or even just candy! I found the metal tin at the Dollar Spot at Target and it already had a chalkboard circle on the lid. I stamped the lighthouse and birds with the Hero Arts White Unicorn ink and set it aside to dry. Then I trimmed a piece of 12×12 blue cardstock to fit the tin. I started stamping with my Distress Inks and the fish, starfish and coral stamps to make an underwater scene. I adhere the paper to the tin with roller adhesive and then added pearls as bubbles. Here’s a closeup of the lid and side. For the big fish, I used both Distress Inks and then the White Unicorn ink on top to give the fish some dimension. This was so easy and fun to make! I love these new stamps and am already thinking of a card to make with them…I’m thinking a clear card will be just right! Hope you’ll join in our July challenge here and make a Clean and Simple project with your Hero Arts stamps and stencils. And, if you need some new supplies, don’t forget that every a2z Scrapbooking Supplies purchase helps support charity! Recently, Camp Gluten Freedom in Indiana benefited from purchases made at a2z Scrapbooking Supplies. 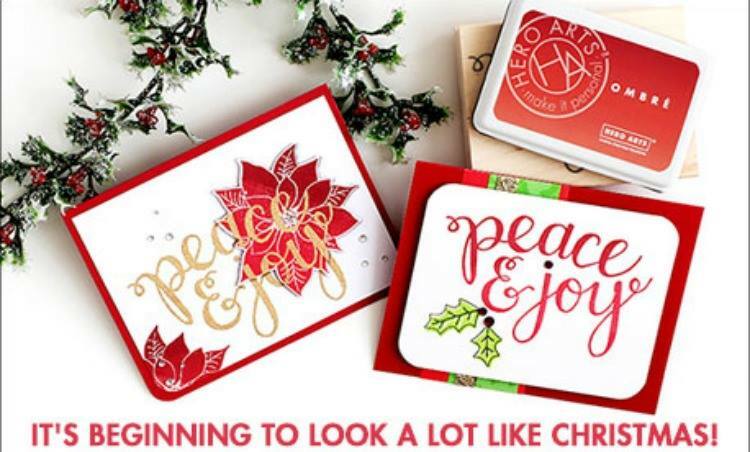 Glad you stopped by…and if you’re already thinking Christmas, we’ve got you covered! 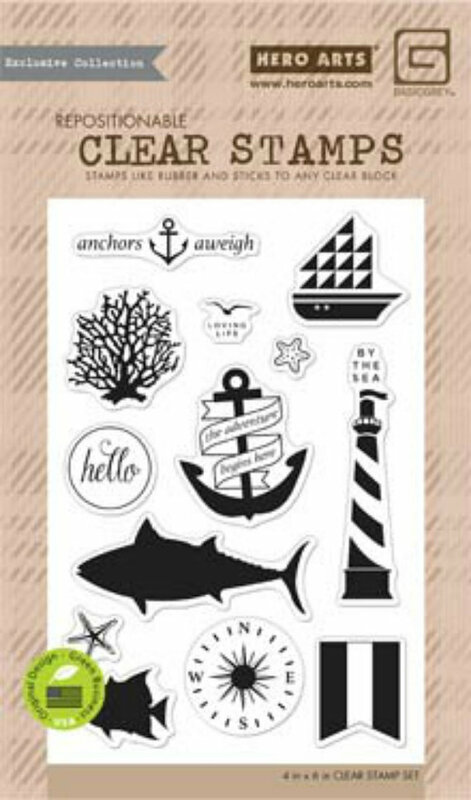 Hero Arts has just released some fabulous new ombre inks and stamps. Check it out at the store! 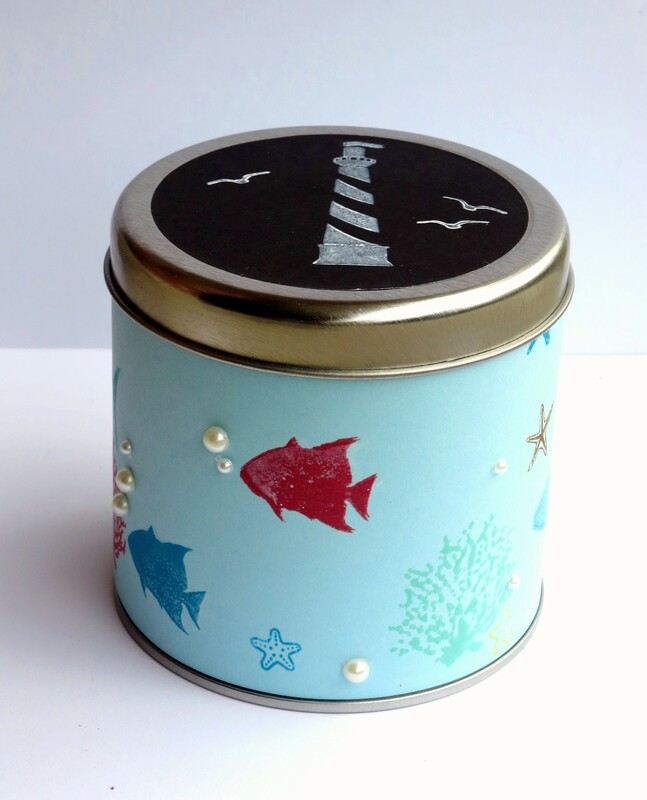 Categories: Challenges, Clean and Simple | Tags: beach, chark, fish, gift, lighthouse, pearls, tin, under the sea | Permalink.